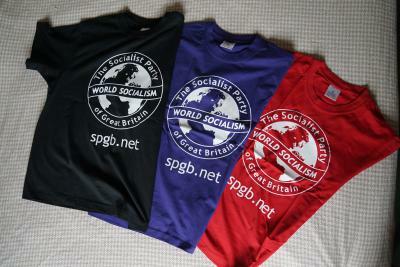 Stylish cotton bags come in black with the Socialist Party logo screen printed in white on one side and with a shortened web address. They measure 38 x 42 cm and have two shoulder length cotton handles. £3.50—plus £1.50 for UK P&P. These stylish cotton bags come in black with the Socialist Party logo screen printed in white on one side and with a shortened web address. 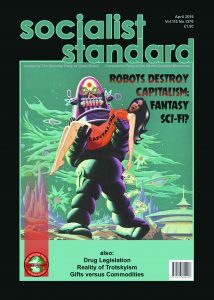 On sale now from The Socialist Party, 52 Clapham High Street, London SW4 7UN. Price just £3.50—plus £1.50 for UK P&P. Sent in cardboard packaging. Please supply name and address. 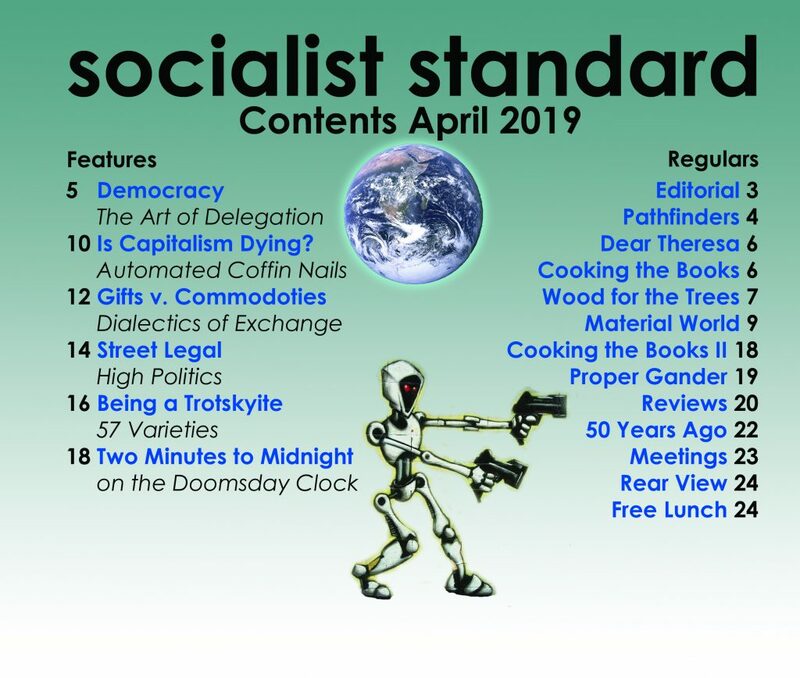 For bulk or overseas orders please email spgb@worldsocialism.org or phone 0207 622 3811. Wash bags if used frequently, but only in cold water and do not iron over design or tumble dry.